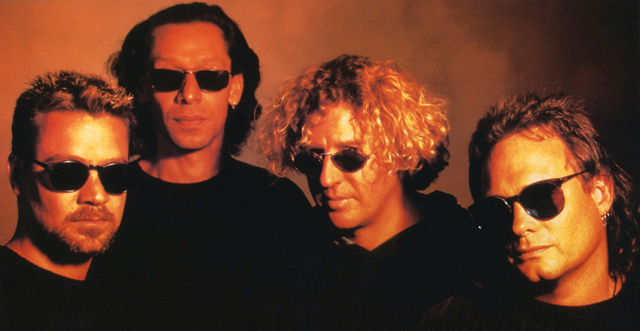 Uneasy alliance: The 1994 lineup of Van Halen was Eddie Van Halen, Alex Van Halen, Sammy Hagar and Michael Anthony. It would be their last full album together. A little Tuesday blast from the past! Here’s the electronic press kit for the Van Halen album “Balance,” which boasted the last lineup of Van Halen that featured Sammy Hagar. Included are a few moments from the video shoot for “Don’t Tell Me What Love Can Do,” a clip directed by the late Peter Christopherson.